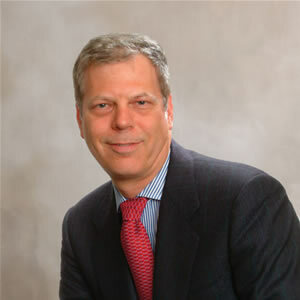 Dr. James A. Solomon, who is the Director of Ameriderm Research, the Advanced Dermatology & Cosmetic Surgery (ADCS) Clinical Research Division, earned his Bachelor of Arts from Johns Hopkins University in Baltimore, Maryland; his Ph.D. in Immunology from SUNY Upstate Medical Center, Syracuse, New York; and his M.D. from SUNY Buffalo, Buffalo, New York. He completed research fellowships at Roswell Park Memorial Institute, Buffalo, NY as well as at Massachusetts General Hospital, Boston, Massachusetts. He did his residency training in Boston, Massachusetts: Pathology at the Mallory Institute of Pathology, Boston City Hospital: Pediatrics at Tufts New England Medical Center, and Dermatology at the combined Boston University/Tufts University program. He is a Diplomate of the American Board of Dermatology and a Fellow of the American Society for Laser Medicine and Surgery. Before joining ADCS, Dr. Solomon’s career included a tenure as a full time Assistant Professor at Boston University Department of Dermatology; the Director of the Dermatology Department of MWCHP (a Blue Cross HMO); a solo practitioner of medical and cosmetic dermatology in Massachusetts for 17 years; a hospital based medical and cosmetic dermatologist in Illinois. During this time, he maintained academic associations with Tufts Medical School, University of Illinois, and Southern Illinois University and continued being involved in clinical research. He has been an active member of multiple medical societies including serving on several committees. These include the American Academy of Dermatology (AAD), Massachusetts Medical Society, Illinois Medical Society, and American Society for Laser Medicine and Surgery, Royal Society of Medicine (United Kingdom), International Society for Hair Replacement Surgery, American Contact Dermatitis Society, American Society of Cosmetic Dermatology and Aesthetic Surgery, Society for Investigative Dermatology, Association of Clinical Research Professionals, and Society of Clinical Research Associates, American Dermatoepidemiology Network (ADEN), Dermatoepidemiology Expert Resource Group of AAD (DermEpi ERG), International Dermatoepidemiology Association (IDEA), Group for Research and Assessment of Psoriasis and Psoriatic Arthritis (GRAPPA). As Director of Ameriderm Research, Dr. Solomon is in charge of creating and establishing a new academic research model. ADCS is the largest dermatology practice with over 100 offices, seeing over 1,000.000 patients per year. The goal of Ameriderm Research is to make available the latest clinical drugs and devices to our patients as well as make the large patient population available to the pharmaceutical and medical device manufacturers. We currently have 6 clinical trial sites and are involved in over 50 studies. Ameriderm Research performs pharmaceutical initiated clinical trials in Actinic Keratosis, Advanced Basal Cell Carcinoma, Squamous Cell Carcinoma, Melanoma, Lymphangiosarcoma, Cutaneous T-Cell Lymphoma, Acne Vulgaris, Rosacea, Atopic Dermatitis, Chronic Hand Eczema, Hidradenitis Supprativa, Psoriasis, Alopecia Areata, Pattern Alopecia, Pediculosis Capitis, Tinea Pedis, Onychomycosis, Impetigo, Herpes Zoster, and Type II Diabetes. Furthermore, Dr. Solomon maintains two academic appointments: Assistant Clinical Professor, Dermatology at University of Illinois College of Medicine, Urbana- Champaign (UIUC), Illinois as well as Associate Professor, Dermatology at University of Central Florida, College of Medicine in Orlando (Lake Nona) Florida. Through these appointments Dr. Solomon is involved in both teaching as well as more basic clinical research collaborations with these as well as several other academic centers throughout the US. Dr. Solomon was involved in multiple committees related to establishing the curriculum for the new UCF Medical School. Dr. Solomon and Ameriderm Research sponsor a post graduate research fellowship in dermatology for physicians with an interest in developing skills in advancing the knowledge and understanding of dermatological disease and its role in general health. In addition, Dr. Solomon and Ameriderm Research sponsors several ongoing research projects with students from UCF-COM and other medical schools. For highly motivated high students, there is a research fellowship which is approved through UCF-COM. As a result of these research projects, Dr. Solomon has published over 50 journal articles including one in the New England Journal of Medicine concerning the treatment with vismodigeb of locally advanced and metastatic basal cell carcinoma. Dr. Solomon is the lead for a project of ADEN & DermEPI ERG to form a non-biased international cooperative to update outcome assessment measures in psoriasis. Recently, the pSOAR project has agreed to form a cooperative effort with the IDEOM project which is sponsored by GRAPPA and National Psoriasis Foundation. Through his role at IDEOM, Dr Solomon uses social media to identify patients from around the globe who work with the professionals to revamp the current system to one that is patient oriented in its approach to treatment and disease assessment. Dr. Solomon is chair of the Uniform Protocol Project of the National Alopecia Areata Foundation. This a precedence setting project wherein a patient advocacy group has gained FDA support to draft uniform protocols that will have IRB and FDA approval in concept for clinical trials to develop treatments for patients with alopecia areata. There will be a core uniform protocol and then modules related to specific treatment modalities. It is hoped that this plan will facilitate the interest of the pharmaceutical and medical device industry to investigate whether or not their drugs or device can be instrumental in treating alopecia areata. Dr. Solomon has accepted an invitation to serve as an Assistant Editor of the Journal of the American Academy of Dermatology (JAAD) for a 5 year term commencing June 1, 2013. In addition, Dr. Solomon serves as a reviewer for JAMA-Derm, and Journal Dermatological Treatment. He has accepted an appointment to the Outcomes Committee of the AAD. In addition to his activities as Director of Ameriderm Research, Dr. Solomon continues to see routine and cosmetic dermatologic patients through the Ormond Beach, Rockledge and Palm Bay offices of ADCS. Since his academic career started in Boston, in a manner similar to the TV character House, Dr Solomon He specializes in the evaluation and management of patients with dermatological problems complicated by a patient’s interactions with food, behavior, and environment. In addition, he has developed a format to work with patients who have scarring and/or pigment irregularity from acne or rosacea to over 6-18 months (as a goal) to minimize these scars and make the skin vibrant glowing with uniform texture and pigment. These techniques can also be applied to pregnancy related stretch marks.